Reliable, safe energy is fundamental to modern society. Fossil fuels and electricity power every second of our lives, from vehicles and transport to air conditioning, lights and entertainment. However, the energy industry needs to find new ways to secure reliable energy distribution, cut costs, and reduce its impact on the environment. The industry is introducing digital technologies to every aspect of energy production and delivery, to make sure that it can deliver safe, affordable, reliable power, and support sustainable development. Ikeja Electric is Nigeria's largest power distribution company. It buys power from the national grid, and retails it to users. Ikeja's biggest problem is collecting on its bills: On average, it is only able to collect 60% of the money owed to it. Illegal tapping of power lines is also very common in Nigeria. These drains on revenue have hindered the company's ability to invest further in its infrastructure. Nigeria's power distribution networks are very underdeveloped. Many distribution boxes and transformers are old, and 40% of power is lost during transmission. And collecting on bills means walking round houses one by one to read the meters – a process which is expensive and frequently inaccurate. Ikeja has now introduced smart metering equipment, which it is installing on homes and the facilities of industrial customers. 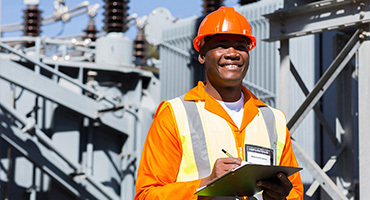 As a direct result, power leakage is down by 31%, the accuracy of meter readings has shot up to 100%, and 90% of the human resources costs of meter reading have been eliminated. Tampnet is a Norwegian telecommunications operator providing high-bandwidth communications services for oil and gas companies in the North Sea. In 2012, its old microwave communications system was struggling to cope with its customers' increasing demand for data. 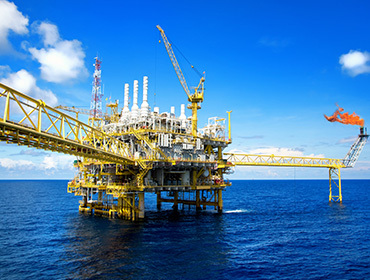 The company decided to deploy an end-to-end LTE communications system connecting drilling platforms, floating facilities, tankers, and onshore stations. Today, Tampnet's high-speed network covers all platforms, tankers, and floating facilities out to 50 km, and it offers advanced services like video transmission. Converged multimedia communications, combining voice, video, and data, enables remote visual inspection and control, and videoconferencing. The network gives local oil companies a strong foundation on which they can base the next phase of their digital migration. In 1881, the world's first ever power station began supplying electricity to streetlights along London's roads. Since that date, humanity has been generating and distributing electric power continuously, using basically the same approach as Victorian Britain. But in just the last 20 years, the industry has suddenly started to produce a wave of new models and new technologies. Today, renewables occupy an increasingly important share in our energy mix. They are the key driver of new technology in the power generation industry.1 On the demand side, consumers are starting to use smart meters and battery technology to give themselves more control over their power use. Even traditional power producers are starting to introduce power storage units as an alternative to switching on more turbines to meet peak demand. Power infrastructure is also becoming more complicated. 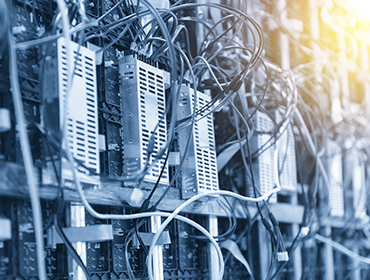 The old centralized, centrally managed, one-way transmission networks are evolving into distributed systems with generation, storage, and management capabilities built into nodes throughout the network. As the complexity of power infrastructure increases, power companies are finding it harder to guarantee continuity of supply. Particularly in developed countries, aging networks are struggling to keep up with changing patterns in the market. Falling levels of reliability, rising costs, soft demand, and increasing competition are presenting severe challenges to every power company. Management needs to boost productivity with careful investments to meet these challenges and maintain profitability. Developing nations have an advantage over the older economies in that demand for electricity is growing, and will continue to grow for the foreseeable future. That is why most of the best performers in the power generation industry are in the developing world. The focus in developing nations is still on investment in more generation capacity to meet rising demand, but there is also a need to harden their infrastructure and networks against natural disaster, accident, human error, theft, or deliberate damage. All power companies today are busily deploying digital technologies to try to help with cost, supply, safety, and environmental issues. They are making their networks and their operations smarter and safer. Modern smart grids are a perfect integration of electricity transmission and Internet of Things (IoT) technology. 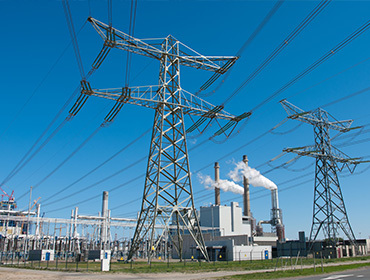 High speed wide area connections and IoT help power companies embed low-cost sensors and controls into every part of their networks, from the power station to the transmission lines to the meters. Smart grids enable power utilities to see instantly what is happening on the generation, distribution, and demand sides of their networks. This enables them to deliver stable supplies of power to the right network nodes, providing a better service in a complex environment. Digital infrastructure makes advanced monitoring and automation possible, and makes for lower-cost, safer operations. For example, smart meters cut meter reading costs; remote maintenance reduces the likelihood of component failure. Automation and robotics help reduce the need for specialist training, and enable companies to react faster to incidents. And what do end users get out of digital technology? Well, they get more insight into which appliances use the most power, which gives them more control over their electricity bills. In some developed countries, consumers have the option to pick between multiple power suppliers, and can make themselves eligible for special prices by only using power at certain times of day. Some users also install their own solar panels, and actually receive a subsidy for feeding into the grid. It is not just grids which need a digital overhaul. Power companies are working on their own digital transformations to get the most out of the new digital technologies. When physical equipment, applications, processes, and data can be effectively integrated, companies will have access to unprecedented levels of insight into the future, which will help them to manage their people and make well-grounded decisions on long-term strategy. The reliability of the power supply has a direct impact on a country's commerce and the lives of its citizens. In developed countries, aging equipment and grid breakdowns are a threat to energy security. In developing nations, the threats often come from illegal tapping of grid power, and natural disaster. Real-time video surveillance can help improve security and reliability. With new IoT, CCTV, and data transmission technologies, power companies can monitor and control their equipment remotely. CCTV and smart meter technologies are making power companies much more efficient, reducing cost, and helping to ensure energy security. This is especially vital for power utilities in developing nations, because it helps secure their revenues, and gives them the ability to make sustained investment in their infrastructure. Over the past three years, the price of crude oil has fallen steeply. Oil companies are struggling to maintain profitability, and the capacity to invest in their own future. The challenges are severe, even for the world's biggest and best-known oil and gas producers. As a result, these companies are seeking to use digital technologies to streamline their organizations and their operations, cut costs, boost efficiency, and restore their competitiveness. Goldman Sachs predicts that success of fracking means the price of crude oil per barrel is likely to stay in the.2 The industry is also keeping a nervous eye on demand: Within the next 2–3 decades, could world demand actually start to fall? Car engines are getting more efficient, and electric vehicles are taking over the roads; and renewables are supplying an increasing fraction of our power. So both demand and supply side signals suggest that oil prices will remain low in the long term. This places the oil and gas industry in a position it has never faced before. Oil and gas business leaders are exploring a number of ways to improve efficiency and optimize their operations throughout the exploration, production, and distribution phases. For example, CEOs are seeking new models to lower the cost-per-barrel in offshore production. They are also keen to improve the productivity of their workforce, and the efficiency of their supply chain. New communication technologies represent significant potential for savings. For example, in offshore wells, 70–80% of costs are time-related (McKinsey). If producers can speed up communications and the transfer of information among platform workers, it could have a significant impact on the bottom line. However, the supply chain is long and highly complex. Keeping tabs on everyone and everything involved in the oil and gas supply chain is an enormous challenge. From exploration, through drilling and production, to refining and distribution, the oil and gas industry generates massive flows of data that have not yet been fully captured and analyzed. Now, with companies under pressure as revenue falls, decision-makers are increasingly seeking valuable information from big data to guide their decisions on operations and investment. And every oil and gas operator is keen to learn the lessons of the Deepwater Horizon spill. Executives are coming to realize that big data insights can also help ensure safe operations. In the long term, investment in digital technologies will deliver the greatest long-term value, for example by boosting capacity for predictive maintenance and making management smarter and more precise. Industry leaders are keen to simplify, automate, and optimize complex processes to make their operations smarter. Communication is a key enabler for this process. Leading companies are equipping their well workers with mobile technology and deploying Internet of Things and video cameras along the entire production chain. These technologies provide the basis for connecting the workforce, automating production, and gathering and sharing information. For example, high-cost, repetitive activities such as drilling can be automated to raise efficiency and cut costs. 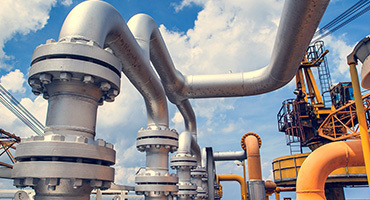 Connected sensors at wellsites gather data on pressure and flow, and relay it to a central system for analysis and control. Operators can see the well and control the equipment from off site, which reduces their travel costs and enables faster response to critical situations. And video surveillance of facilities can also help reduce pipeline damage and theft. All of these benefits can only be realized when production is supported by robust, high-speed networks. In a quickly changing market environment, business leaders making capital investment and operational decisions are seeking to build in maximum flexibility. Adopting cloud is an important step towards simplifying their IT infrastructure. Cloud improves business agility by breaking down the functional silos within the company, enabling cost-effective supply chain controls, delivering standardized interfaces for sharing data, and facilitating the digital ecosystem, which delivers collaborative innovation. Cloud also helps unlock the value of big data analytics and Internet of Things. Drilling rigs, smart pipelines and retail gas stations can generate terabytes of data every day. The industry has many opportunities to improve its production and operations using data analytics, but oil companies currently are only exploiting a small fraction of this data. The future potential for mining more value out of this data is enormous. The digital transformation of the oil and power industries is vital for sustainable economic development. It will enable us to use natural resources in a smarter, more efficient way. Increasing the amount of renewables in our energy mix will reduce our carbon footprint, and help to mitigate climate change. So at the same time as supporting the operations and the success of energy companies, we should also be developing an explicit renewable energy strategy. That is part of the corporate social responsibility of the energy industry and its partners.